The guest rooms include two large suites and one single hotel room. Each suite has one queen bedroom and a large living area with an additional queen convertible couch. 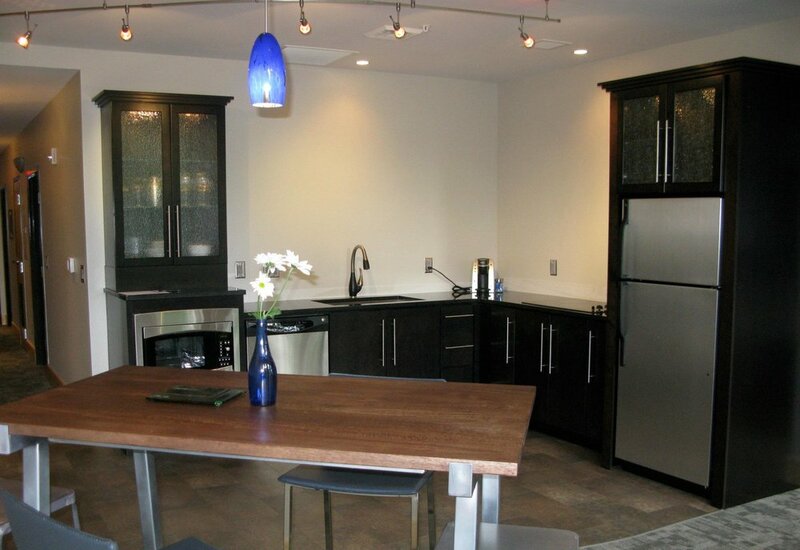 Each full suite also has a full kitchen, complete with cooking and eating utensils. The rooms are appointed with beautiful modern art, most of which is available for purchase while on-site, local soaps, and an assortment of snacks and drinks for purchase. Flat panel TVs are well-located in all rooms, and there is free wireless on premises.